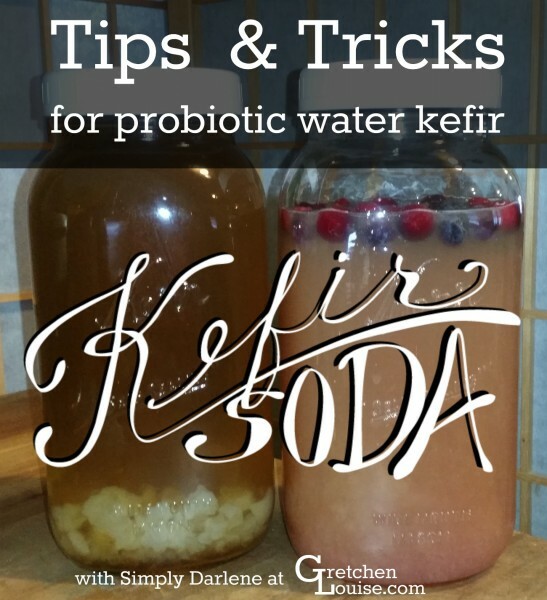 Water kefir (or kefir soda) is one of my favorite probiotic beverages. I like to drink it with my meals to aid in digestion. I love knowing that I’m getting all sorts of good bacteria that are great for my immune system, without all the sugar of fruit juice, or the chemicals or a carbonated beverage. When I first began exploring the use of natural probiotics, my friend Darlene was an invaluable resource. Not only did she give me my first batch of kefir grains, but she’s been there to answer all my questions along the way. 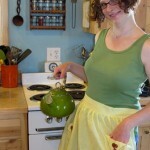 I asked Darlene if she’d join me here on my blog to talk about kefir soda. 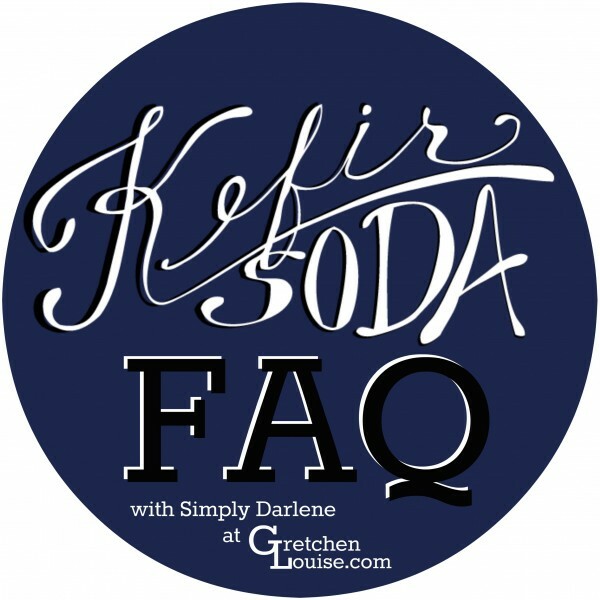 She’s sharing her answers to some of the questions I asked her, as well as the concerns some of you have voiced in your comments on my 5 minute guide to kefir soda. And if you have more questions? The comment box is always open! Darlene or I will do our best to answer. 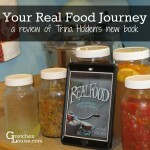 Gretchen: How long have you been brewing water kefir? How were you introduced to this amazing natural probiotic? Darlene: I’ve been cluttering countertops and swigging down kefir soda off and on for about four years. A health-conscious friend introduced me to dairy kefir when she mailed me directions and a glob of starter. Being a vegan, water kefir fit my lifestyle better than its dairy counterpart, so I made the switch. Cold water, hot water, I hear all sorts of directions. If hot water kills the kefir grains, does lukewarm water just jumpstart the brewing process? I take the middle ground with warm. Actually, I looked at other ferment processes to determine how things have been done over the years. Warm water seems the most common. Plus, that’s the temperature of fermentation on your countertop. It seems strange to be putting all this sugar in a “healthy” drink. How much sugar remains in the brewed kefir soda? During both ferment stages, the kefir feeds off of the sugar and produces helpful bacteria, yeast and minerals. In the first ferment, the sugar is sugar — sucrose. In the second ferment, the sugar is fruit sugar — fructose. If your kefir ever tastes sweet, like a weak sweet tea, it’s a fail. 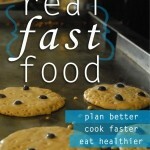 When done right, only minute amounts of sugar remain because the culture has “eaten” it. As an insulin-dependent diabetic, water kefir has had no impact on my blood sugar levels. That being said, blood sugar fluctuations vary from person to person. Each must determine the impact (or lack thereof) on his/her own blood sugar levels. Do different types of sugars impact the taste and/or health benefits of the finished product? Yes. Even though some folks use white sugar or even powdered sugar, I opt for an organic, whole cane sugar such as Sucanat or Turbinado (brand names). It’s a healthy drink; why not make it from the most pure ingredients? I know I’m not supposed to use honey in my water kefir. Why? Raw honey is high in healthy bacteria and likely will kill the kefir cultures. I’ve read that some people put a rinsed eggshell in their first culture. Others mention baking soda, molasses, and so on. What do these do to my kefir? In addition to kefir being high in good bacteria and yeast, it has a goodly amount of minerals too. If your kefir culture process has slowed and/or you are starting out with a new batch, it’s a good idea to jumpstart the process with a mineral source. Personally, I use organic blackstrap molasses. How much solid fruit do you add to the second culture? Is the amount different for fruit juice? Just like some of the other variables (i.e. water temperature and sugar source), the amount and the type of fruit for the second ferment is optional. But to keep things easy, I focus on The Kefir 3’s: about 3 tablespoons of dried fruit or smashed fresh fruit per 32 ounces. How long do you usually let each ferment go? I’ve read you can let the second “flavoring” brew go up to 7 days on the counter. Wintertime: 2-4 days. Summertime: 1 day. I reckon 7 days would give you a whiz-bang whallop! It depends on your kefir culture, sugar source, fruit, and the temperature of your home. My basic rule is to look for some fizzy action (even as soon as a couple of hours in the summertime) when I slightly tip the jar. That’s an indication that the kefir is eating the fruit sugar. I’ve tasted some of your amazing kefir soda concoctions. I think the elderberry might have been my favorite. What are some of your own favorite combinations? For the first ferment I use 32 ounces of warm water (hard water from our well), 1/3 cup water kefir grains, 1/3 cup of organic Sucanat. And for the second ferment I add 1/3 cup of dried fruit (organic elderberry being my favorite, smashed raw strawberries with raisins being a runner-up). I’ve heard I should keep my kefir away from direct sunlight. Does that mean it needs to be in a dark corner of my kitchen? Or is on a shelf near a window but covered with a towel okay? Basically, you need to keep it out of direct sunlight. On your kitchen counter, in the cupboard, or on a shelf – wherever floats your boat. I know using metal containers or utensils is a no-no. But other places I’ve read that stainless steel is okay. What do you think about that? And are metal lids okay as long as there is no direct contact of the kefir with the metal? Ah, another variable! I’m simple, simple, simple (mainly because I confuse easily) so for me, “no metal” means no metal, even stainless steel. Even though I prefer the Ball brand plastic storage caps, I have used metal lids. I keep the liquid level well below the lid line and take care not to jostle the kefir against the lid during the fermentation process though. What about tossing my kefir in my smoothies? Is it bad for it to contact with the metal blades of my VitaMix blender? Actually, lots of folks do this, even with their grains. If this method is the only way you can get yourself and/or family members to drink probiotic-laden kefir, do it. Just drink the product immediately so you retain as many health benefits as possible. My grains vary a lot in size; a few are even as wide as quarters. Some friends say their grains rapidly multiply but remain the size of rice grains. Does size indicate age or effectiveness? I always seem to have a bit of “sediment” in the bottom of my second culture. Is that just tiny kefir grains and/or fruit? You’ll find this same grayish film in store bought kefir water products, as well. It is part of the process. I make sure to gently swirl the water so I get all that health-laden gunk in my glass and down the gullet into my gut. I often culture both milk kefir and water kefir. Do I have to worry about any contamination or cross culturalization? As with any ferment process, whether it’s water kefir, dairy kefir or sourdough, you must use cleanliness in your utensils, jars, lids, countertops and hands. I’d work with only one fermentation product at a time and keep them on separate counters. What’s the low-down on the alcoholic content of cultured kefir? I know it’s going to vary per batch, but is it safe to drink during pregnancy? Overall, the bacteria in kefir limit its production of alcohol, thus converting the produced alcohol into beneficial acids. According to data gathered from Yemoos Natural Cultures, Cultures for Health, and Nourished Kitchen, overripe fruit contains about 1% alcohol, beer 4-7%, and wine 8-14%; whereas water kefir contains anywhere from .038% to 2% alcohol, with the average alcohol content being .08% or less at a typical 48-hour ferment. But, the longer the kefir is tightly sealed during its second fermentation, the more it will increase in alcohol (up to 3%). As for use during pregnancy, one should ask their midwife and/or doctor. How much kefir should I drink? Is it possible to drink too much kefir soda? Well, it is a combo meal deal of bacteria and yeast so if a person suffers from acute or chronic candida, it’s probably not a good idea to drink more than a couple of ounces per day, if that. My own momma drinks a quart per day. As with anything new, start small and remember that moderation is best. I know that natural cultures are hard to compare, but how do milk kefir and water kefir differ in quantity and quality of cultures? Both are probiotic in nature. The milk kefir is more akin to yogurt and the water kefir to kombucha. Those who battle candida would probably benefit more from the dairy kefir. A lot of my friends brew kombucha. 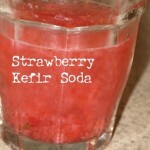 How does kefir soda compare? Whereas both products have probiotic benefits and are great for digestion, Kombucha is more of a cleanser and detoxifier, especially with the liver, while kefir is a stronger probiotic, filled with beneficial microbes that are great for the immune system, but without the detox effect. I know sometimes you buy a bottled kefir type product called Kevita. How do you feel it differs in health benefits from homebrewed water kefir? As with any homemade food or culture, I know for certain what products were used in my countertop creation, and since it’s not pasteurized, I know mine has the highest possible content of bioavailable bacteria, yeast, and minerals. Also, I have way more greenbacks in my pocket with the homebrew variety. But in a pinch, or whilst traveling, the store-bought Kevita is fine and dandy. Help! What do I do with all my extra kefir grains? I think I’ve shared them with all my local friends at least once. Can I feed them to my chickens? If yours grow at the rate of mine, you will end up with a gallon of kefir grains every 4 days! Help, indeed. Add them to the compost bin; dehydrate them for future use and/or as a way to mail them to non-locals; blend them with some water and fertilize garden and indoor plants (beware because your critters might fancy the smell); feed them to your chickens; instead of birdseed, throw them at newlyweds as they exit the church. 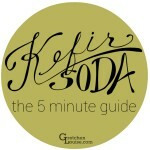 For more tips, be sure to check out Gretchen’s 5 Minute Guide to Kefir Soda. Darlene has a Bachelor of Science degree from the University of Idaho in School & Community Health Education, with minors in Physical Education and Athletic Training. 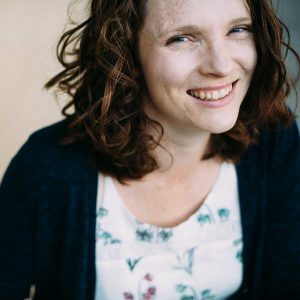 She’s been a collegiate and conference guest lecturer, has served as a health educator and raw food/healthy living coach, and has implemented a community-focused women’s health education series. Darlene has an in-depth knowledge of Type 1, insulin-dependent diabetes, as well as a background in alternative medicine and supplementation. Please Note: Even though she has an extensive background and training in the natural health industry, Darlene takes no responsibility for your use or misuse of kefir. 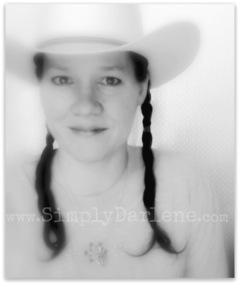 Kindly remember that Simply Darlene is not a doctor, nor does she play one out here in BlogLand. Now that it is cold outside, can I warm my already made kefir water without compromising its probiotic value? Hi again, This time I’d like to know if there is an ideal low / high temperature for growing water kefir. We’re moving into winter in South Africa and I’m afraid the weather might get too cold. Hi, I’m a confused newbie. I’ve been given some water kefir grains. A mistake, I think, I made was to transport it dry. I drained it and put it a “ziplock” bag. it’s been in the bag, in the fridge, for 5 days. will this effect it at all. Although the the original culture was made from organic cane sugar, can i use supermarket bought white sugar? the ingredient label states that it contains (per 100g) 99.9g sugar and 1mg sodium. Many thanks ans Kind Regards. If I were you, I’d just try reactivating your kefir grains and see if they still have life in them. You can completely dry them to transport/ship, so being dry for five days wouldn’t hurt them too much, I’d guess. You can definitely use white sugar now. Most incouraging. I’ll give it a go. my kefir is not fizzy or fermented tasting at all. new grains and they multiply….1/4 grains, 1/4 c organic cane sugar, water quart jar. This is great! Thank you for sharing. It’s been a couple years since I made water kefir so I can’t wait for the grains on my counter to start working. I hope they come to life soon!